Study Reveals Majority of Americans are not Taking Proper Steps to Care for the Health of Their Eyes | KDT Optometry - Excellence Is The Only Option! The results of recent, comprehensive research supported by Transitions Optical revealed that the majority of Americans are not taking the proper steps to care for the health of their eyes, and that awareness of both short- and long-term effects of UV exposure on vision is remarkably low. The results also indicated that overall awareness about eye health is even lower among certain ethnic groups, including Hispanics, African Americans and Asian Americans, who are already at an increased risk for a number of health-related issues – many that can impact vision. Surprisingly, less than four out of 10 Americans reported visiting their eye doctor within the past 12 months. And Americans are not just neglecting to schedule eye exams for themselves – only four out of 10 parents have taken their children to an eye doctor within the past year. What’s more, Hispanics and Asian Americans are more likely than the general population to have never scheduled an appointment for their children. Because 80 percent of learning is through vision, it is especially important that children can see their best to perform well both in and out of the classroom. While low concern and awareness of eye health is surprising among the general population, it is even more alarming among ethnic minorities such as Hispanics, African Americans and Asian Americans, who are more likely to develop serious eye and overall health issues that can take a toll on their vision. More specifically, both Hispanics and African Americans are often affected by overall health issues such as diabetes and hypertension, which have vision implications and can be detected through the eye, making regular, comprehensive eye exams even more important. Hispanics are also at higher risk for many eye health issues, including pterygia and glaucoma, as well as macular degeneration and cataracts, which have both been linked to UV exposure. Glaucoma is a leading cause of blindness among all African Americans, and they are also at higher risk for developing cataracts at a younger age. Asian Americans are more likely to develop angle-closure glaucoma and near-sightedness (myopia), as well as Type 2 diabetes, which can make them more susceptible to heightened damage from UV exposure, reduced contrast sensitivity and increased light sensitivity. However despite this, the research revealed that two out of three respondents don’t know that their ethnicity could be putting them at higher risk for certain vision conditions. Survey results also suggest that ethnic minority groups may not be taking adequate steps to protect their vision. For example, although Hispanics responded the most in-line with the general population, they were still more likely to believe that UV protection is only important in the spring and summer months, and were less likely to say that “eye health protection” is an important consideration when selecting eyewear. While African Americans were the most likely to say they would schedule an eye exam if experiencing symptoms of vision problems such as near-sightedness or presbyopia (loss of ability to focus and see things up close), they were also the most likely to do nothing to protect their eyes from UV rays despite their increased risk of developing cataracts. Despite research confirming that Asian Americans are at higher risk for developing near-sightedness, they were the least likely (six out of 10) to say they would make an eye appointment if having trouble seeing far away. They were not only the most likely demographic group to believe that UV protection is only important in the spring and summer months, but were also the most likely to believe that wearing eyeglasses can make their vision get worse. 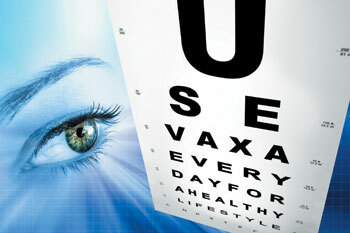 Because eye damage is cumulative, it is never too early or too late to start getting regular, comprehensive eye exams. We carry Transitions Zeiss lens at wholesale costs here at KDT Optometry.